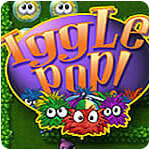 Iggle Pop Game - Download and Play Free Version! Clever Pac Man style game that is challenging and rewarding! 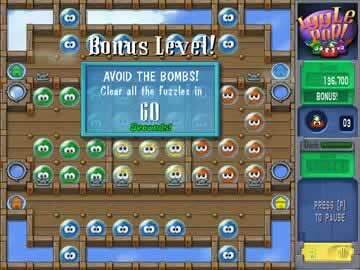 Iggle Pop leads the way for the next generation of PacMan style games! You'll begin your journey in the far away Land of Fuzz where the evil Zoogs have imprisoned the innocent Iggles. Doctor Iggle needs your help saving the Iggle race! 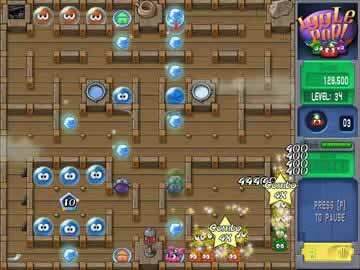 Assume the role of Fizzy or Dizzy and POP your Iggle friends out of their bubble prisons. Pay close attention to Doctor Iggle as he presents all the tips and tricks you'll need to be successful against the Zoogs. With his help you'll be able to pick up everything quickly. Controls and game play are simple and classic. Play with the mouse or keyboard.